H S Phoolka was a senior advocate of the Delhi High Court before he joined the Aam Aadmi Party and is known for his "crusades" to secure justice for the 1984 riot victims. CHANDIGARH: Punjab's leader of Opposition, H S Phoolka has decided to resign from his post to represent the victims of 1984 anti-Sikh riots, in court. Phoolka was a senior advocate of the Delhi High Court before he joined the Aam Aadmi Party and is known for his "crusades" to secure justice for the 1984 riot victims. Confirming his decision, Phoolka told the New Indian Express, "I have decided to quit as the leader of opposition as I wants to pursue legal cases on behalf of 1984 riots victims. Bar council did not permit me to do so while holding a political office." Phoolka has named three party MLAs -- Sukhpal Khaira, Kanwar Sandhu and Aman Arora -- one of whom the party high command could pick to replace him. He said, as per the Bar council rules, an MLA or MP could appear in court, but not a minister. has the status of a cabinet minister. He informed the Bar Council chairman that, as a result, he will be unable to continue practice as an advocate and sought permission to appear only in the riot cases. However, the Bar Council refused to permit him on account of the fact that he is holding a political office. Office of an advocate is considered as one of profit, which a minister of cabinet level is prohibited from holding. 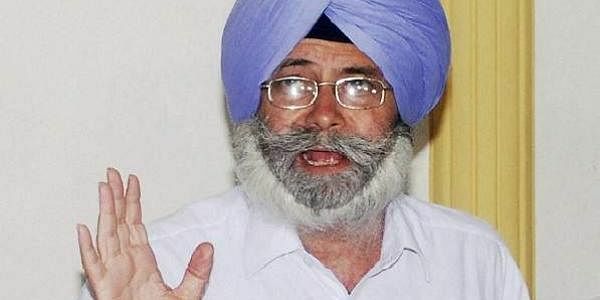 For thirty years before taking over as Punjab's leader of Opposition, Phoolka had represented the victims of anti-Sikh riots, free of any charges.